See the pristine blue green water and the big smiles of the Aetas! It’s so cool the ride the Jeep and also our tour guide was very friendly!!! 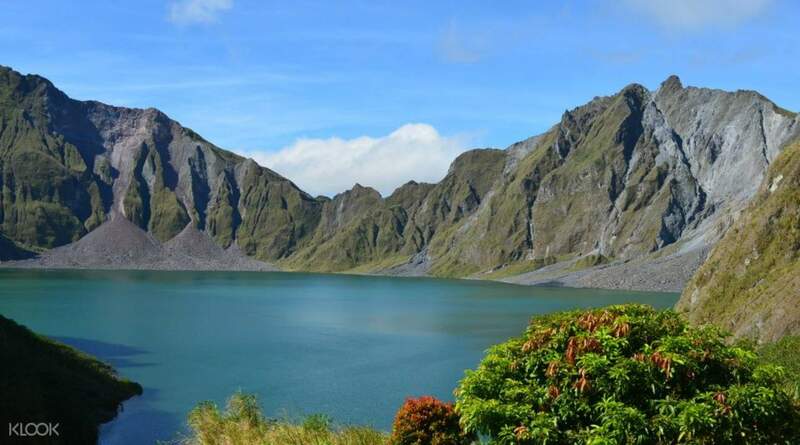 Explore the Philippines’ most popular hiking destination on an 18 hour tour taking you to the best trekking areas and viewing spots around Mount Pinatubo. Get ready to wake up early to get to the meet up point in Ortigas on time. From there, you travel towards Mt. 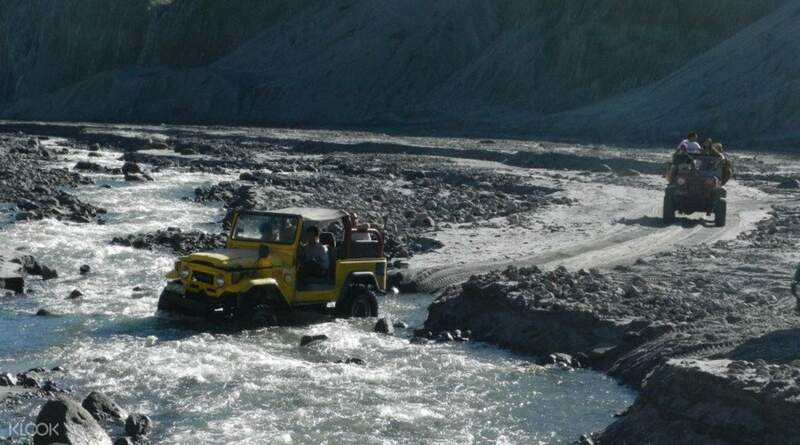 Pinatubo where you will get to hop on a 4x4 for an exciting ride to Pinatubo jump off point. Your trek begins at approximately 8:00am at the foot of Mt. Pinatubo crater. 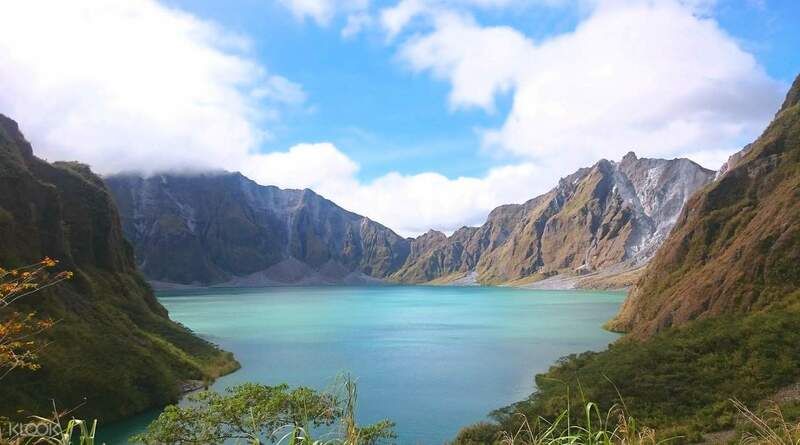 You will be hiking up the mountain for about 2 hours and your reward for the effort will be truly amazing: a real jewel of the area, Mt Pinatubo’s famous crater lake, known for its changing water color from blue green to deep blue depending on the season. Rest, explore the area and have a delicious lunch with breathtaking views of the landscape below. 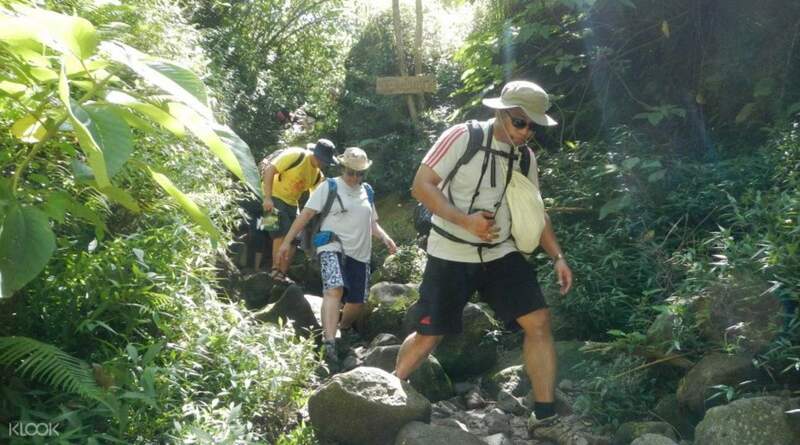 After lunch, start on your way back, complete with a 4x4 ride and a transfer back to Manila. It’s so cool the ride the Jeep and also our tour guide was very friendly!!! It’s so cool the ride the Jeep and also our tour guide was very friendly!!! The tour company picked us up on time and our guide was really good. However a couple of things to comment on: 1. Our jeep broke down just as we were about to reach the starting point of the hike. Luckily a jeep passing by came back to pick us after dropping off their passengers. 2. It mentions that snacks are included as part of the package, but take note that it isn't so. Do bring your own snacks. The hike itself is pleasant but beware of the river crossings. So wear either sandals or bring extra pairs of socks and another pair of dry shoes to change into after the hike. The tour company picked us up on time and our guide was really good. However a couple of things to comment on: 1. Our jeep broke down just as we were about to reach the starting point of the hike. Luckily a jeep passing by came back to pick us after dropping off their passengers. 2. It mentions that snacks are included as part of the package, but take note that it isn't so. Do bring your own snacks. The hike itself is pleasant but beware of the river crossings. So wear either sandals or bring extra pairs of socks and another pair of dry shoes to change into after the hike. Awesome hike, professional staff, just a great day!! Thanks! Awesome hike, professional staff, just a great day!! Thanks! We had a wonderful day,Very enjoyable and very professional. We had a wonderful day,Very enjoyable and very professional. Tour worthy, local guides are very enthusiastic and cute, this is an interesting point to try if you come to Manila. Tour đáng giá, hướng dẫn viên địa phương rất nhiệt tình và dễ thương, đây là điểm thú vị nên thử nếu bạn đến Manila.